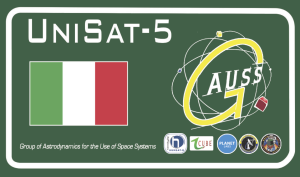 UNISAT-5 is the first satellite designed, built and launched by GAUSS Srl, the private Company that inherits the experience gained with the UniSat program at the School of Aerospace Engineering of the University of Rome “Sapienza”. 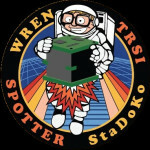 The project was developed in collaboration with students and researchers of the Space Science Center of MSU (Morehead State University, KY, USA). UniSat-5 is an educational civilian microsatellite, with a cuboid aluminum structure whose panels have a surface area of 50 x 50 x 50 cm. The total microsatellite mass weights 35 kg. The launch of UniSat-5 satellite, boarded on the DNEPR rocket – the orbital launcher managed by the company Kosmotras – took place on 21 November 2013 from Dombarovsky Cosmodrome in Yasny (Orenburg region, Russia), marking an historical event in the world of CubeSats and PocketQubes. In fact, the microsatellite UniSat-5 boarded and then deployed four CubeSats and four PocketQubes for the first time ever. UniSat-5 small spacecraft is a technology demonstrator and also an innovative launch platform built to comply with the CubeSat and PocketQube standards, this way also expanding access to Space, with the advantage of reducing the customers’ costs related to the administrative preparation and the launch itself. 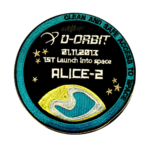 The spacecraft was inserted into a near-SSO orbit with an altitude of 634 km at 07:25:48 UTC. These CubeSats and PocketQubes have all (except one, Dove-4) been released into orbit from the UniSat-5 satellite, launched by the Dnepr rocket. 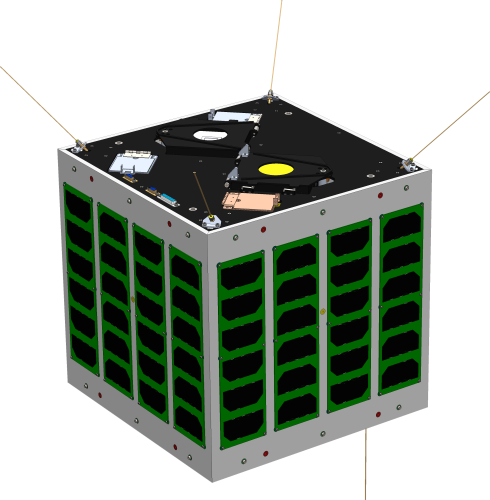 PEPPOD and MRFOD systems correctly released 4 PocketQubes and 3 CubeSats. In the last week of integration, the CubeSats and PocketQubes were integrated on board the UNISAT-5, inside the PEPPOD (GAUSS CubeSat deployer system) and MRFOD (designed by Morehead State University, USA, in collaboration with GAUSS Srl) deployers. 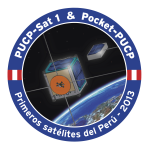 PUCP-Sat 1 is the first Peruvian satellite built by the Institute for Radio Astronomy of the Pontificia Universidad Católica del Perú (INRAS-PUCP). 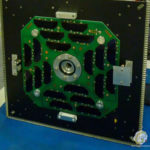 The 1270 g satellite is built on the 1U-CubeSat form factor. It was configurated to transmit temperature readings from 19 internal sensors and to deploy the 97 g Pocket-PUCP femtosatellite. Designing, developing and launching a pico-satellite provides students with an opportunity of hands-on experience of satellite development. Primary mission goals of ICUBE-1 are to contact the satellite via uplink and collect its health data from different sensors via downlink. 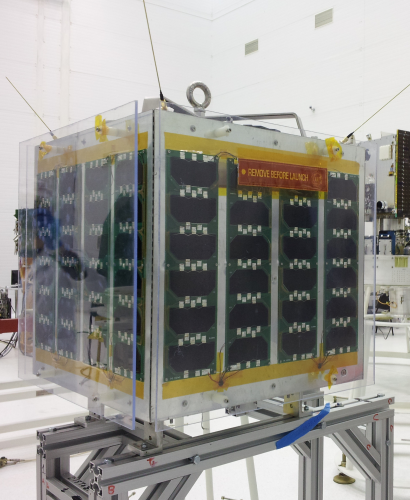 HumSat-D is a standard CubeSat of 10 cm side length and a mass of 1 kg designed and developed at the University of Vigo (UVigo), Spain. HumSat-D is the first (hence, a demonstrator) satellite of the future HumSat constellation. Dove-4 is a technology demonstration mission to test technologies and operations for future Earth Observation satellites. PocketQubes are pico-class satellites (mass between 0.1 and 1 kg) invented by Professor Robert J. Twiggs (Morehead State University) that are envisioned to fly in constellations and perform a variety of functions from communications to Earth remote sensing and space research. Eagle-1 and Eagle-2 spacecraft are designed to provide a component testbed for various spacecraft technologies, primarily among them a de-orbit system that also increases the spacecraft radar cross section. The Eagle series is among the first PocketQubes to be flown. The satellite $50SAT-Eagle2 has remained operative for quite a long time and reentered the Earth atmosphere on May 18, 2018. QBScout, is a 2,5p PocketQube boarding a fine sun sensor. One of its main goals is to measure dynamic altitude. Produced by the German startup STADOKO UG, this 1P PocketQube is the smallest and one of the most advanced satellites of its class. It has 4 pulsed plasma thrusters, a 3 axis reaction wheel and a color camera. 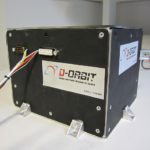 Deorbiting device designed and manufactured by the Italian startup D-ORBIT Srl and integrated into UniSat-5 as hosted payload. Low-cost solar panels for microsatellite applications, an innovative cover glass system developed through the research collaboration of the University of Pisa and Alta SpA (now Sitael).